A cake maker contacted us because she was making a cake for a bride and groom and they wanted to include their dog on their special day. 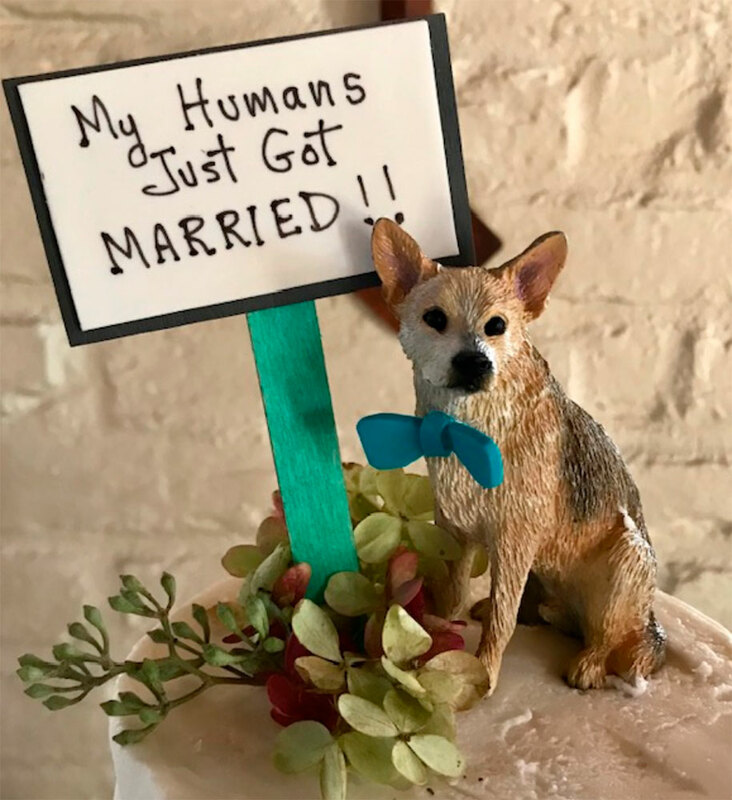 They wanted a dog cake topper on top of their wedding cake and they came to the right place because we carry dog figurines that work perfectly as toppers! The cake maker sent us several photos of the bride and groom’s dog. Their dog is a mixed breed, so they were having difficulty picking out a figurine that looked just like their dog. They sent us the photos and we were able to send them a list of breeds that we thought the dog looked most like. 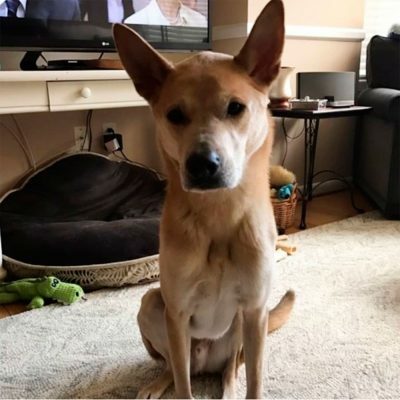 We suggested an Australian Cattle Dog or a German Shepherd. The bride and groom chose the Australian Cattle Dog, because they thought that it looked most like their mixed breed dog. They knew that they had to choose a figurine that looked closest to their dog, and we would go on to paint the figurine so it would exactly resemble their dog. The cake maker went on to purchase the Australian Cattle dog figurine, and she uploaded photos of the bride and groom’s dog. She let us know the date of the wedding to make sure there was no issue in getting them the figurine on time. 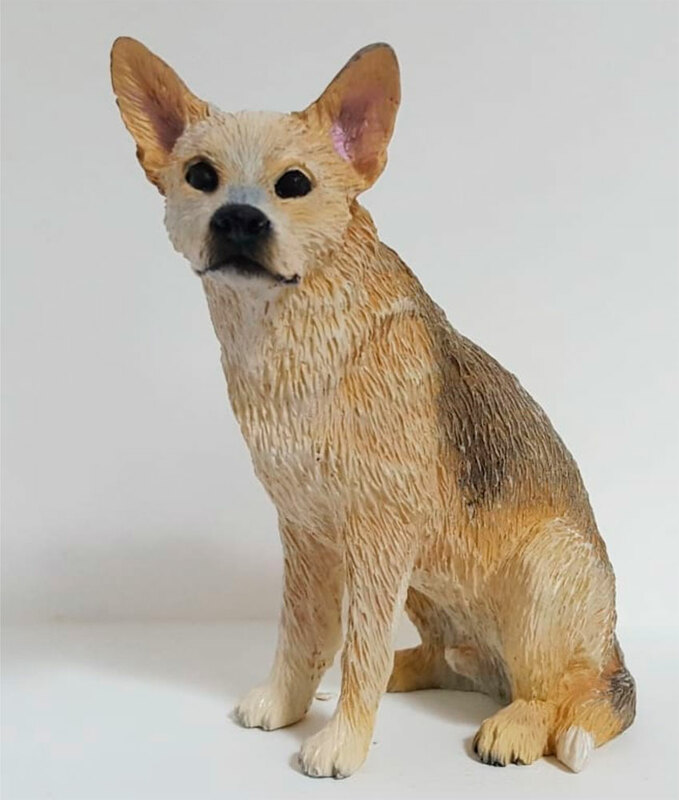 By referencing the photos that the cake maker uploaded with the order of the figurine, we were able to custom paint the figurine to look just like the bride and groom’s dog. Once we were done painting the figurine, we sent the cake maker photos of the figurine so she could send them to the bride and groom for them to review. After their approval, we shipped the figurine directly to the cake maker. The groom and the groomsmen wore teal-colored bow ties, so the cake maker found a bow, painted it teal to match the rest of the wedding party, and attached it to the figurine. Their dog was officially a part of their wedding day! The cake maker also placed an adorable, handmade sign next to the dog that said: “my humans just got married!” She made the sign out of some card-stock and a Popsicle stick, which allowed her to stick it into the top of the cake, alongside the figurine and some greenery that matched the theme of the wedding. Weddings can be timely, expensive, and tiring, but finding the right cake topper doesn’t have to be. 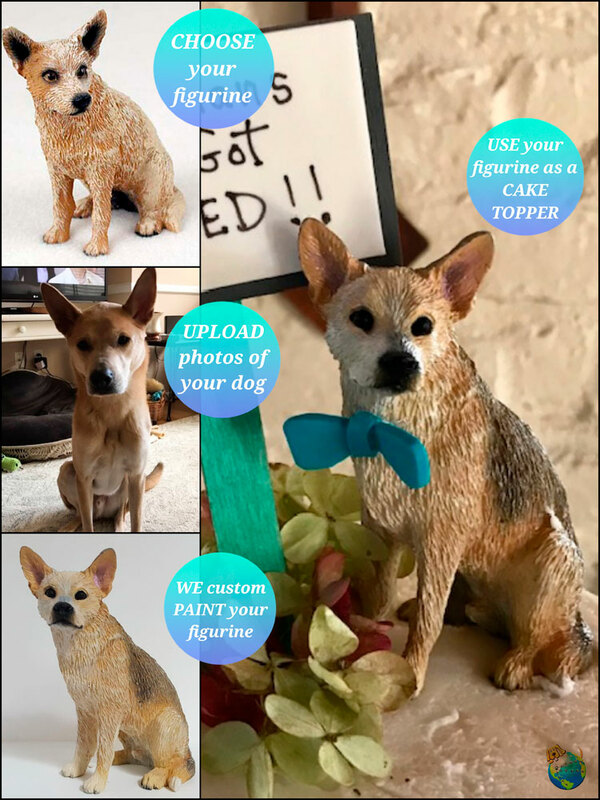 Just follow the 4 steps in the image below, Shop all of our dog figurines, and check your cake topper off your wedding “to do” list today!